Target: Energy self-sufficient by exclusively relying on renewable energies, by 2035. RES: Solar and wind-powered systems, block heating stations, woodchip heating systems, and electric vehicle charging stations. 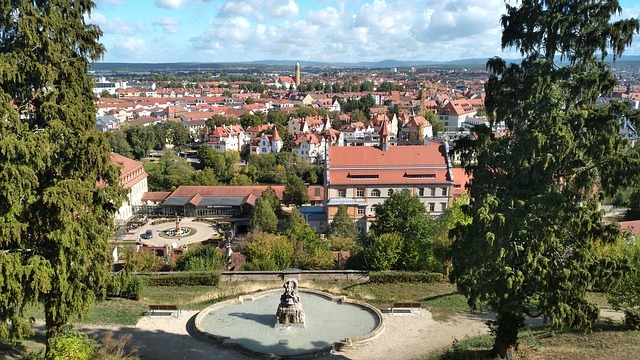 Implementation: The city of Bamberg's strategy to produce energy independently is embedded in its climate change strategy and is integrated into the sustainable development of Bamberg. It has already financed a combination of solar and wind-powered systems, block heating stations as well as woodchip heating systems. In 2009, the Fraunhofer Institute analyzed the resource potential of the city and different scenarios were investigated to optimize the process of RE development. It laid the groundwork for finding the best energy models for the area. The plan would serve 210,000 people for both for electricity and heat. As a member of ”climate alliance”, the city cooperates with surrounding municipalities. The idea is that both the city and its region would benefit from the energy transition: the city has a reliable supply of renewable energy and the surrounding rural areas is the energy producer, generating income, allowing the development of new business models, and well distributed profits among municipalities. In fact, the city of Bamberg would not have been able to achieve its RE goal if it wasn’t for the rural support, considering the limited urban space. The city involved the industry and engineering sectors in the planning process, as well as the participation of the local community, with processes being guided by the city government. In 2011, the Climate and Energy Agency Bamberg was established to serve as the office of the Climate Alliance Bamberg. In 2012, the city along with 31 municipalities formed the ,,Regionalwerke Bamberg GmbH’’ to combine strategic efforts. Energy consultancy and analysis tools for electricity and heat applications of private households were introduced and more than half of the towns in the area have set up electric vehicle charging stations.